This year we have definitely taken advantage of our Cedar Fair Platinum Pass. The cost for the pass with three meal plans and three drink plans was $984.54. That is a lot of money (but less than some other theme park chains we know), but considering we went to 7 different parks (in two countries and 4 states) for a total of 26 times our per cost visit was only $39 a visit (or $13 per person). 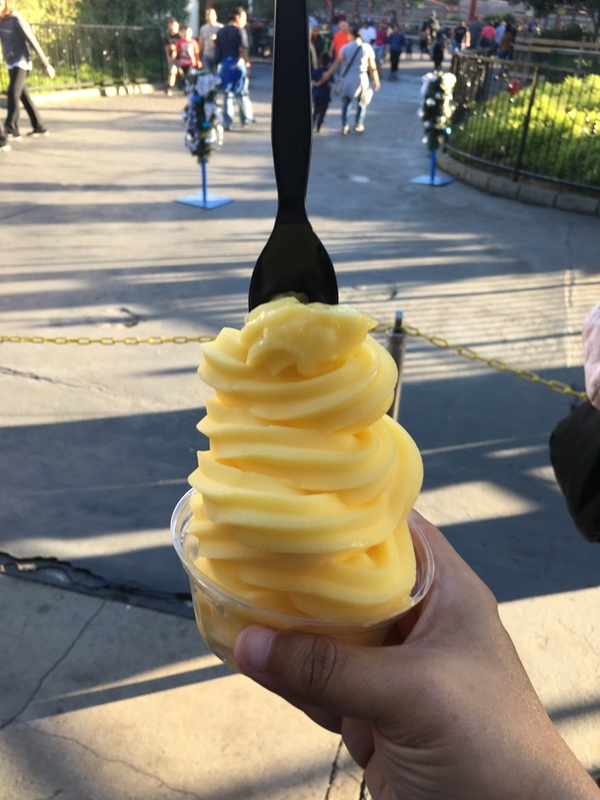 The way the meal plan works is that we get two meals per theme park included (4 hrs. apart) and the drink plan provides unlimited soda fountain drinks every 15 minutes. 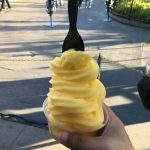 It makes a great way to pre-plan your visit and not have to worry about every costs once you are in the park. Although, there is always dessert! Luckily platinum pass-holders get an extra 20% off on food and merchandise. 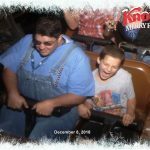 We are a little theme parked out now but we did want to get out at least one more time and that is why we went this last Saturday to Knott’s Berry farm. 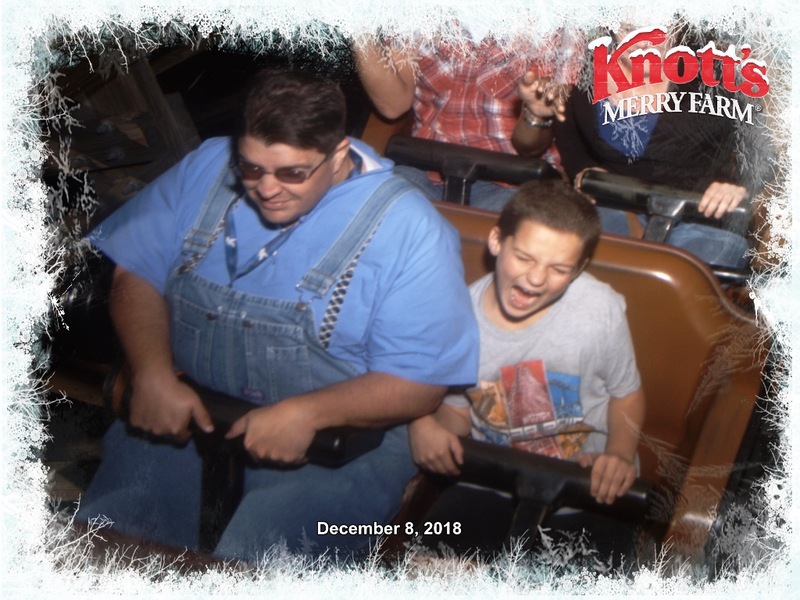 Knott’s in November, December, and part of January is known as Knott’s Merry Christmas. Like many theme parks there are special decorations, live shows, and new attractions. 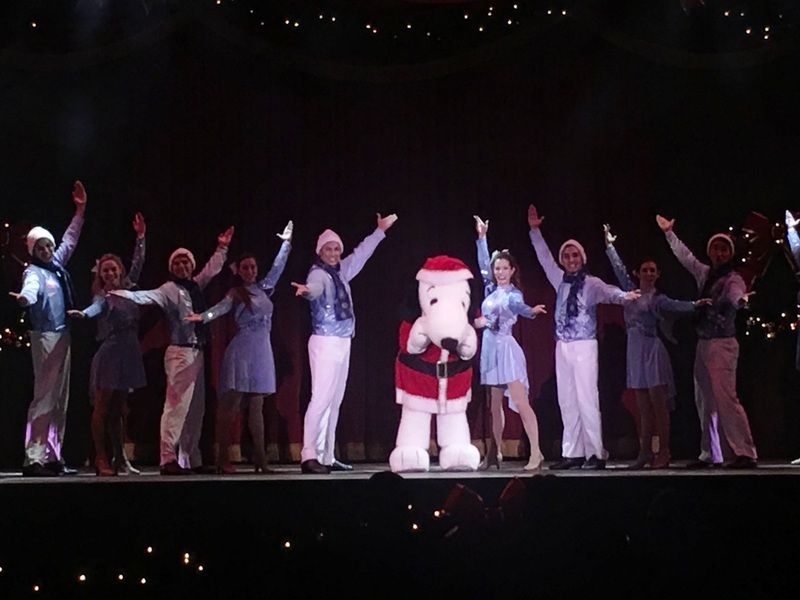 Our family favorite is Merry Christmas Snoopy at the Charles Schultz Theater, which is a ice skating show. 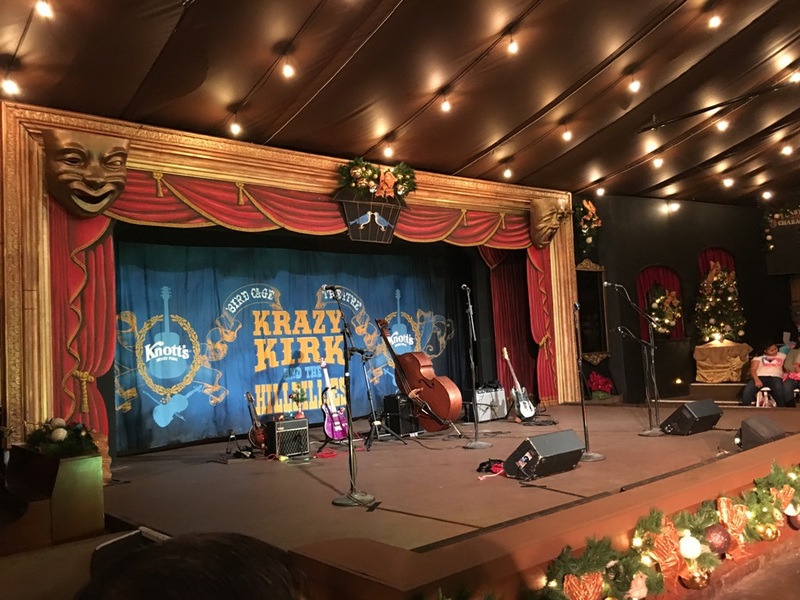 Knott’s in December is crowded due to many free entrances that are given. Veterans, First Responders, and Toys-For-Tots donors all get in for free in December. 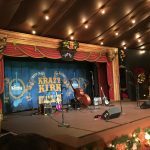 Not to mention many companies sponsor events at Knott’s in December as well. 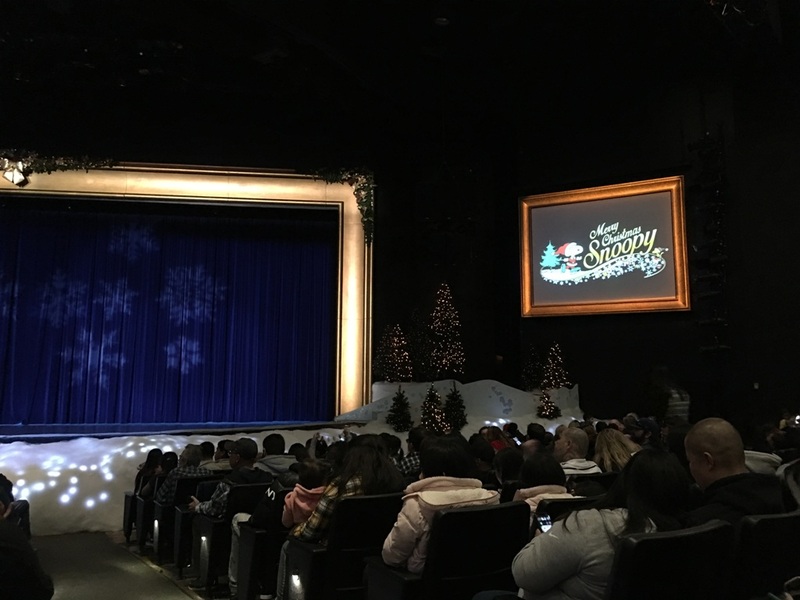 We did get into all the shows we wanted to, but for the Merry Christmas Snoopy show we had to wait the length of one show because the first show was out of seating. Most of the rides were in the 40 min – 1 hr. wait time range. 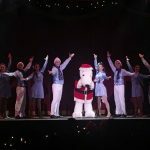 The Merry Christmas Snoopy show is very unique. 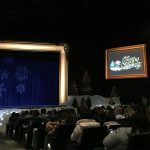 “It’s The Merriest Christmas Show Ever, Charlie Brown” at the Calico Mine Stage. AJ and John on the wooden roller coaster Ghostrider.